Fun times with our little furry friends after a hectic day is, no doubt, a great way to de-stress. However, despite all the joy it brings, playtime, for most dogs, has to be followed by a thorough cleaning session. All the filth and dirt picked up by their furry coats have to be eliminated and the best way to do this is with the help of the best dog shampoo. Concerning dog hygiene, there is a vibrant market for the sale of dog shampoos and conditioners, most of them formulated to be odor and pristine clean free. These products are developed by scientists and other professionals to ensure that the fur of your canine friend is kept clean and free from filth at all times. Listed below are some of the best dog shampoos on the market. Your loyal companion deserves the most effective natural pet shampoo for his fur and skin. This description thoroughly summarises the Pet & Pals Pet Wash Shampoo. 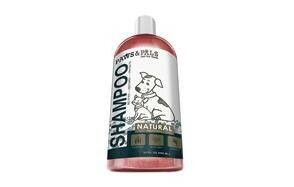 Paws & Pals have dared to make bath time a fun experience through the creation of this shampoo. It is a premium skin and coat oatmeal shampoo for dogs formulated without compromising on the organic and vegan principles of quality. It features the delicate balance of essential oils that have been recommended as part of every canine’s coat care regimen by veterinarians. The Paws 7 Pals shampoo can be used for your puppies, kittens, or grown up dogs with ease, as it doesn’t contain any harsh or harmful products. What’s more, the pre-wash shampoo also features a tear-free formula which doesn’t irritate the eyes or nose of your dog for a more bearable bath time experience. Additionally, this dog shampoo treats your pet as a true member of your family as it offers him or her the best when it comes to taking care of their skin and coat, and acts not only as a cleansing shampoo but also as an environmentally friendly product that does not harm nature. The formula features the use of oatmeal to help soothe itchy skin and keep skin moisturized. Oatmeal has also been proven to help deal with hot spots, allergies, and dry skin. The result is a softer coat and a cleaner, deodorized fur. It’s time to say goodbye to the itchiness caused by dander and fleas with the use of this dog shampoo for your canine best friend. This makes a perfect gift for dog lovers. There is another all American produced antifungal dog shampoo brand that has made a mark on today’s market as an exceptionally effective shampoo. It is the Pro Pet Works All Natural Shampoo, skin and coat cleanser for your furry friend. Dogs are known to play around in all situations, regardless of the terrain. They can roll in mud, play in puddles and sit in dirt all in the name of fun. These actions often lead to them having itchy furs that may also become dry. The dryness and itchiness are most often caused by the existence of flea and dander in under their coat, thus organizing a cleaning session after their play time is very vital. The pro pet shampoo is a unique product recommended by several vets from around the world. It features the use of oatmeal to help eradicate the case of itchiness and dryness, with other ingredients being aloe vera and almond oil. All products used to create this shampoo are 100% organic and sourced from natural sources. The shampoo has no added colors, no alcohol, fragrance, and no harsh chemicals. The formula is made to suit dogs with sensitive, dry and itchy skin and the ingredients used offer a therapeutic and soothing relief for your pets, leaving them smelling extra fresh for more extended periods. We love the pro pet shampoo because it is a detergent-free and soapless shampoo that doesn’t irritate the eyes and nose of your dog. It also seeks to create an indelible mark on the environment, and as such, manufacturers of the shampoo make use of 100% biodegradable products made with recycled materials. Every shampoo launched is non-alcoholic and nontoxic, and also has cruelty and paraben-free features. The manufacturer of the pro pet shampoo is an animal-loving company made up staff who are dog owners themselves, and as such, they seek to create products that offer the best for your little pals. 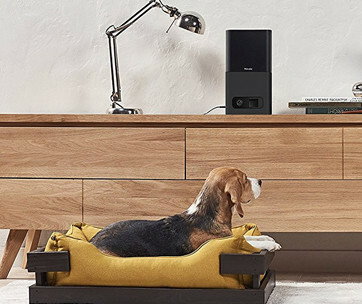 They believe that any product they launch should be usable by both your pets and their thus every blend has been tested rigorously until it attains the state of perfection. Dogs are just like any other animals that demand some amount of personal hygiene. They are prone to experiencing itchy and dry skin often caused by fleas and dander. These insects find their way into the coat of dogs while they play in a variety of spaces and on different terrains. To help curb the occurrence of itchiness and dryness, the Wahl brand has launched one of its favorite products on the general market. It is known as the Wahl Dog Shampoo, and it is a natural, plant-derived shampoo made from organic materials such as chamomile and lavender for maximum fragrance and a more therapeutic effect on your dog. This dog shampoo seeks to clean, condition, detangle and moisturize the hair of your dog all at once. Its formula also features a tear-free design to make the bathing process less strenuous and more enjoyable. With such a feature, your dog’s eyes and nose stand no risk of getting inflamed or irritated thus, it becomes easy for all dog owners to clean their dog’s coat into a silky, smooth entity. If you’re looking to make use of organic ingredients, this is the best shampoo for you and your dog. For safety, the Wahl dog shampoo is peg-80-free, and this ensures that your shampoo is safe to use at any time. We recommend this great dog shampoo for itchy skin to all dog owners. 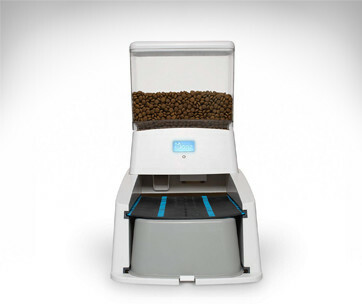 It is the best method used in keeping dogs clean and also comes at an affordable price. With such a potent formula being readily available to dog owners around the world, it comes as no surprise that this dog shampoo from Wahl has gained recognition among may dog lovers and owners. It is highly recommended by both veterinarians and dog lovers and can be used as a casual shampoo or as a treatment shampoo to help deal with sensitive and dry skin. The coat and skin of your canine are about to transform for the better, and it’s all thanks to the great product manufactured in the USA. Our guide to the best dog joint supplements also offers great products for your dog so check it out. The ultimate goal of the Clinical Care Antiparasitic and Antiseborrheic Medicated Shampoo is to offer dogs the ultimate gentle healing from various types of parasitic infections. It is a dog shampoo formulated with salicylic acid and micronized sulfur, ingredients blended perfectly to treat all forms of skin scaling that have been caused by seborrhoea. It seeks to relieve eczema and also help treat bacterial and fungal infections. 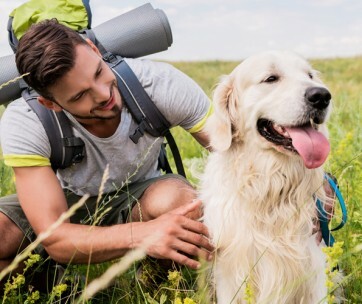 All the healing you will need for your dog is right here in this oatmeal product, with the bonus being the maximum hydration of your furry friend’s coat and skin. This best smelling dog shampoo from Clinical Care can be used two to three times a week to see the results swiftly. Generally, this shampoo works extremely fast and has been a great recommendation made by many veterinarians and dog owners around the world. They love that this product is a dye, paraben, and soap free and has been formulated with a balanced Ph for all dogs over 12 weeks of age. The Ph level of your dog shampoo is vital especially if they has sensitive skin. With a balanced shampoo such as this, every bath day is a happy day for you and your dog because he or she doesn’t have to deal with any allergic reactions from the soap. There’s so much to benefit from the Clinical Care dog shampoo, and we would easily recommend it for all dogs. Depending on the skin condition of your furry friend, we would suggest that you use this shampoo two to three times a week initially. The effectiveness of this shampoo will keep your pet out of the vet’s office and away from overly expensive drugs. Say goodbye to all the discomfort your dog has to endure whenever an infection arises with this 16. Oz shampoo bottle that is made up of veterinary-grade ingredients. Your dogs are more than your pets; they’re your family. So, give them only the best things life has to offer, and you will never regret it. With many of the best dog shampoo brands being American, the inclusion of the Dechra Miconahex +Trix shampoo to this list comes as no surprise. This is a pet shampoo that understands the needs of your dog to the letter. It is a medicated dog shampoo that is used to treat fungal skin infections on animals such as dogs, cats, and horses. Its formula seeks to be an antifungal, antibacterial and extremely moisturizing shampoo that will be loved by many pet owners. The best thing is that, even after rinsing, the formula continues to work on the skin and coat of your dog. This medicated dog shampoo from Dechra + Trix is made with ceramides to enable the formula repair, restore, moisturize and take care of all dry or damaging skin. Since its production goal is to help promote healthy skin in animals such as horses and dogs, this pet shampoo works on animals experiencing conditions responsive to chlorhexidine or miconazole. Its primary ingredient is the miconazole, an antifungal entity that is great at treating and preventing fungal skin infections caused by Chlorhexidine gluconate, an element responsible for the provision of therapy to animals experiencing bacterial skin infections. This shampoo works excellently to take care of all kinds of infections. It is advised that in using this product, pet owners apply the shampoo to a wet coat of hair before rubbing it onto the animal’s skin to create a rich lather. The shampoo can then be left to work for up to ten minutes, after which it can be rinsed off. Doing this up to four times a week will be extremely beneficial to your pet as the results will be seen swiftly. Another way to apply this shampoo is to follow the directions of your veterinarian. The changes that occur after using this shampoo must be reported to your vet, no matter how positive or negative they are. This form of feedback is essential as it helps the veterinarian determine how frequently the shampoo must be used for faster benefits. The ultimate premium shampoo is the Furminator Dog Shampoo, a unique formula developed to help reduce shedding of your dog’s fur. This organic dog shampoo is enriched with ingredients such as papaya leaf extract, Omega 3 and six fatty acids and Calendula Extract. These ingredients have been merged scientifically to ensure that they deliver full health to the skin and coat of your pet. The deshedding process varies significantly from the daily use of a comb or brush, and it involves the removal of all loose and dead undercoat without causing any damage to the top coat via cutting. The Furminator Deshedding experience can be further enhanced with help from grooming tools and other hygiene solutions., pet owners and veterinarians see it as a bar raiser in innovative and proprietary shedding solutions when it is compared to older deshedding methods. This shampoo has no competition on the market, and this has dramatically increased the rate at which it is purchased. It is advised that pet owners make use of this shampoo once a month as a part of their dog’s home grooming regimen. For the best results, this shampoo should be paired with the Furminator conditioner. The Furminator brand is one with several products, each of them reasonably unique in formula and function. Their line of dog hygiene products has been tested scientifically and have been proven to be the most effective in eliminating the occurrence of shedding. They believe that you and your pet can live your best life in a sterile and shed-free environment, provided you have all the necessary tools needed for the perfect grooming session. Dogs lift our spirits when we’re down; it’s about time we did the same thing for them. For a pampering bath time session, check out the Moosh range of dog hygiene products today and marvel at their effectiveness and affordability. The Moosh Natural Dog Shampoo has been recommended due to its anti-itch, antibacterial and antifungal properties. It is a shampoo for dogs formula created specially by dog owners for fellow dog owners and as such, features the use of all natural products that promote healthy skin and hair for your canine buddy. This dog shampoo is made with ingredients such as argan oil, shea butter, bentonite clay, neem and aloe vera for moisture and the relief of itchiness and hot spots. The Moosh Dog Shampoo has a balanced ph, a much-needed feature for every dog’s skin. It contains no preservatives, no sulfates or chemicals and has been manufactured as a hypoallergenic product to cater for dogs with sensitive skin types. Using it requires only a small amount, as this shampoo lathers quickly and goes a long way. The use of bentonite clay sets this shampoo apart from many competing brands. It has been included as an essential element because it is known for several healing abilities. When used in a shampoo, bentonite clay pulls away all toxins and heavy materials away from the skin of your canine by binding with the existing fungi and bacteria. This leaves your dog with a calm, soothed skin and a squeaky clean hair. The Moosh shampoo may look expensive, but it’s reasonably priced to make it readily available to many dog users. Its bottle has also been designed with a neck reducer to control the flow; thus, helping it last longer. We recommend this cruelty-free shampoo for your dog’s next bathing session, for the fur and skin of your pet to feel, look and smell pleasant. There are several medicated dog shampoos on the market today and making a selection is often tough. To ease the stress, we have found the best from the lot, and the only dog shampoo you’ll ever need. Make way for the Arava Medicated Dog Shampoo, a natural based shampoo formulated for the cleanliness and safety of your pet. It is an anti-yeast, antibacterial, and antifungal product made by a leading manufacturer in the industry of animal products. This dog shampoo is a therapeutic entity made from premium dead sea minerals and it offers a broad and powerful cleanse to your dog’s coat and skin, thanks to its bio-care and pet-friendly formula. This system is used in production to deliver a gentle yet thorough cleanse within the undercoat of your dog, to make his or her fur more beautiful via the enrichment of the fur’s follicles. This results in your dog having beautiful, shiny and dandruff-free hair all the time. It is also well suited for all dogs experiencing dryness on their skin. Besides its cleansing properties, the Arava shampoo for dogs also helps heal your dogs from various dermatological infections, some of which include ringworm, hot spots, dandruff, scrapes, mange, and seborrhoea. The skin of your pet is meant to be kept just like yours; healthy and clean as often as possible. Since dogs love to play in the dirt, their hygiene must not be compromised for them to be well protected against various skin infections. The Arava pet shampoo has up to 28 select ingredients that are incredibly active and potent, delivering everything you need to help most of your dog’s skin issues. It also comes with a light, fresh scent that puppies and their owners alike love. Another organic dog shampoo our team has fallen in love with is the 4Legger Certified Organic Shampoo. The 4Legger brand believes strongly that every dog can smell and look terrific all the time without help from any synthetic chemical, thus they have created this stellar product. This is an all-natural and hypoallergenic product formulated with ingredients such as lemongrass and aloe vera to help soothe your pet’s itchy, dry, normal or allergy sensitive skin. It is also an environmentally friendly product created at no detriment to nature. The best part is, the 4Legger dog shampoo is made in the USA! Backed by USDA certification, this shampoo contains essential and organic oils that offer a therapeutic effect to dogs when used. These essential oils don’t only provide therapy, but they also improve the body odor of your pet, ultimately improving the air quality of your home. The 4Legger Organic Dog Shampoo has always produced in small batches using plant-based products. There is no use of artificial or synthetic chemicals; thus you’re assured that this dog shampoo is 100% safe for your dog and yourself. No matter the skin type of your dog, veterinarians recommend this shampoo for them. They attest to the effectiveness of this shampoo and how its holistic formula makes it the gentlest and safe product for your little canines. The natural based lemongrass used for this product helps deter fleas from your dog’s coat. It is very easy to lather and rinse and doesn’t contain any artificial and toxic thickeners, and this also helps keep your dog safe. There are special dog shampoos formulated for the most robust pet coat odors. One classic example is the Nature’s Miracle Odor Control Shampoo. This best dog shampoo functions with help from an odor neutralizer and deodorizer to eliminate all unwanted odors with ease. It features no parabens or dyes and is made with ingredients such as natural cocoa. The cocoa surfactant aids in the conditioning and cleansing of your dog’s coat, while the use of some essential oils helps improve the moisture levels of your dog’s skin. Soap-free by nature, the Nature’s Miracle Oatmeal Shampoo is safe for use on spot-on tick and flea products. The odor control delivered by this shampoo is a long term effect; thus, your dog will be kept smelling fresh for an extended period. The manufacturers believe that simple actions with your pet such as a washday can be made luxurious. They have formulated their products to offer pet parents a chance to live the way they want, while their pets also enjoy the same. Not only does the shampoo help with the odor on your dog, it resultantly leaves your home smelling fresher than it did before, with a brighter outlook. For over 35 years, nature’s miracle has been in the business of delivering the best products for pet mess cleanup. Every product has been created to be environmentally-friendly and also offers instructions on the best way to use their products. Trust the miracle team to provide pet parent with nice things too! This shampoo comes at an affordable rate that isn’t found among competing brands. Shopping for the best dog shampoo is more robust than it looks. These types of shampoos differ significantly from human hair shampoo; thus, their formulas are different and must be looked into thoroughly before any decision is made. Some vital factors to consider before a purchase have been discussed below. Skin & Coat Type - To determine the best kind of shampoo for your dog, it is vital that you evaluate his or her skin and coat. There are some dogs with sensitive skin, and most often, such dogs have a smooth coat of fur. These dogs need to make use of a mild formula with ingredients such as oatmeal, rosewater and aloe vera. Dogs with itchy and dry skin are usually more prone to allergies, and as such, they will need to use hypoallergenic shampoo. If your dog has a furry coat, you can make their hair more manageable by using both a shampoo and conditioner. If you need a product to help with your dog’s constant shedding, there are some shampoos formulated just for that purpose. Dogs with normal skin do well with general purpose shampoos and those that offer a deep cleansing when used. If you’re not certain about your dog’s skin type or coat, you might have to check with a vet before choosing any dog shampoo. Odor - Dogs are naturally adventurous creatures, and as such, they move around from one type of terrain to the other. No matter where your dog spends most of his time, be it on your bed or couch, you're going to notice a distinct doggy smell and the best way to get rid of this is to purchase a deodorizing dog shampoo. These products have been formulated to eradicate all lousy odor from your dog, keeping your couch and other home furniture safe. Fleas & Ticks - Several parasites cause infections on the skin and coat of dogs. Some of such parasites include fleas and ticks, and they can be miserable creatures to live with. If your dog is experiencing any skin infection, you're advised to get him or her shampoos formulated to dispel such parasites with ease. In some instances, the shampoo alone doesn't help with the elimination of the parasites. In such a situation, pet owners will have to consider purchasing additional dog skin treatments that are appropriate for the condition being experienced. while your dog undergoes such treatments, your veterinarian can recommend some famous brands of shampoos that can be used on your dog. Age - Just as dogs come in different ages, different shampoos have been provided to cater for them, depending on their game. Puppies have milder formulas and the best puppy shampoo also makes use of a tearless formula which doesn't irritate their skin, eyes or nose. Shampoos for grown dogs are less, and they may or may not make use of the tearless formula. Ingredients - The best types of shampoos for dogs are those made from organic ingredients. This means every element used in creating the shampoo formula can be found in nature and as such, the product is cruelty-free and chemical-free. Such attributes help protect the environment in several ways. It is vital that every pet owner goes through the ingredient list of the shampoo he or she is looking to purchase. Most often, shampoos that claim to be natural make use of vitamin, oil essences and some herbal proteins. Organic shampoos are incredibly safe and can be used frequently with no harm coming to your dog. There are some products backed by safety and environment-related organizations which will be good for your dog. Such products follow all the rules and also make use of ingredients raised strictly in natural fertilizers. Dog shampoos offer numerous benefits to both dogs and their owners, depending on the quality they deliver. Maintains skin PH - The skin ph layer of a dog is the ph of a layer found covering the dog's skin. This layer is, and its ph can range between 2.2 to 7.5, a very comfortable range where there’s no issue. Using a dog shampoo might move the ph of your dog’s skin away from the healthy range, and this can result in redness and rashes. In recent time, shampoo manufacturers have formulated products that help the skin ph stay within their comfort range and also cleanse the coat of your dog without causing any issues. Eliminates germs and ticks - Dog shampoos are generally firm yet gentle. Their formula is structured such that any germs or insects that tend to latch onto your dog's skin while he runs, rolls and plays around. When these parasites hold onto the coat of your pet, getting them off is extremely difficult, and the best remedy is the use of an effective shampoo. This shampoo must be tough on the parasites but gentle on your dog's skin to prevent any dermatological damage. Promotes and maintains dog hygiene - Dog hygiene is an essential part of a canine's life as it helps keep him or her clean and germ-free always. The use of dog shampoos helps in promoting good dog health especially with how adventurous dog prove to be. With their constant interaction not only with the environment but also with other human beings, they must be clean and free from any parasite that may cause damage to their health or the health of anyone they come into contact with. Dog shampoos come with formulas meant to keep the skin and coat of your dog clean and bright. They do this by killing all herms and eliminating all ticks and fleas to make your dog feel healthy again. Lather for easy cleaning - All dog shampoos are designed to lather a lot; thus; owners only need a little to wash their pets effectively. The foam from the dog shampoo is made readily available because the process of pulling and tugging at the coat of your dog can prove to be very uncomfortable since their skin is susceptible to touch. With bathing and cleansing already being a tedious procedure for dogs and dog owners alike, having a shampoo that lathers reduce the hassles of keeping your dog calm while he's being cleansed. With dog shampoos, a little goes a long way to lather and wash the skin of your dog. Promotes healthy dog - To ensure that your dog's coat is always moisturized and clean, particular procedures, techniques, and products must be used. The process of shampooing involves a lot of care to prevent your dog's coat from becoming overly dry. Shampoos are incredibly beneficial to dogs because they don't only act as cleansers; they also offer moisture and sheen to their skin, making their fur soft to touch. Fragrance: once an element is listed as a fragrance, it means it's not organic. If a scent is derived from natural sources, it will be stated on the product. Artificial Colours: most often, colored shampoos have a high potential to cause harm to your dog's skin. They are usually formulated from unnatural dyes and added to shampoos to appeal to the customer. Mineral Oil: mineral oil is known to coat anything it comes into contact with. Once it covers the entity, it creates an impermeable layer; thus your dog's skin isn't allowed to get rid of its toxins and oils. The trapping of all impurities in the coat of your pet often leads to the contraction of infections. Cocamide DEA: this product is derived from the coconut plant. It is known to possess many healing properties, but numerous tests have proven that it is also a moderate cancer-causing agent and an organ toxin that is associated with the destruction of thyroids and hormones. Q: Can I use human shampoo on my canine? A: Some individuals use human shampoo such as baby shampoo for their dogs, but this isn't advised. Dog shampoos feature the use of specific chemicals meant for use by only dogs, likewise human shampoos. They also have different ph levels, and this may cause a problem for your dog, depending on his skin type. Q: Can I apply my hair conditioner on my dog? A: No human product is advised for use on a dog as this may cause dandruff, skin flaking, dryness, and even allergic reactions. Q: How much dog shampoo should I use? A: The less shampoo you use, the better. This is because a little goes a long way concerning lather and cleansing of your dog's coat and skin. Q: Are dog shampoos safe to use and what happens if it goes in my pet's eyes? A: Some shampoos use the tearless formula. This formula is made such that it doesn't cause any reactions with the eye and nose of your dog. These are the safest kinds of shampoos for dogs. Q: What is the difference between dog shampoo and human shampoo? A: The significant difference between shampoos for dogs and those for humans lies in the ph levels. Generally, the human skin has a ph ranging between 5.5 to 5.6, while dogs record a ph range of 6.2 and 7.4. The vast difference means we'll require separate products for our skins. 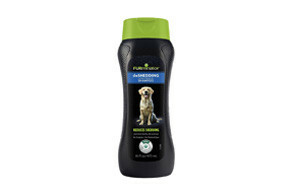 Our top pick is the Paws & Pals' wash shampoo. This best dog shampoo for itchy skin is an American product created with 100% natural elements which include jojoba and coconut oils, oatmeal, shea butter, and many others for the relief of itchy and dry skin. It is a paraben-free product which is also cruelty-free. It is vital for all customers to note that the sensitivity of every dog differs; thus, they must monitor their pets after using the shampoo, for any possible signs of reactions.